I thought #2 was double tap. FOR THE LAST TIME PEOPLE! Rule number 2 was originally Ziplock, and they changed it to double tap sometime in the production of the movie. Hammer that into your skulls! 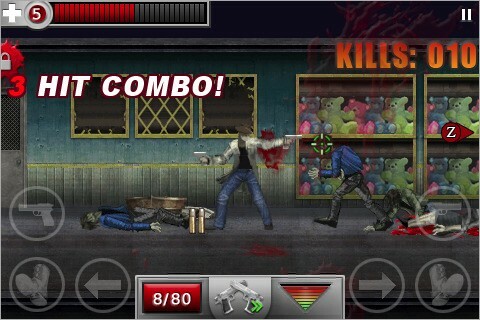 Pet would turn to a distraction to give myself a few seconds more to get away or kill it if it was just one zombie. Sorry Fido. HAHA! when a vegetarian become zombie, will they lose their mind too? Or become BRRROCCOLI eating Zombies? If a zombie tried to arrack my dog I would go freaking Tallahase on those zombies asses. pets wouldnt work well, as they would inevitably ingest zombie blood and turn into zombies themselves. at least thats how it worked in zombieland. Rule #35 Dont wear bakini’s….Zombies may be dumb but they know a vounerable girl when they see one…you’ll just attract them!!! I can’t find the app only zombie and quotes wth.